Social media sentiment analysis is a relatively new metric when it comes to social media marketing. Probably that’s one of the reasons many social media managers vary when it comes to assessing the usefulness of social media sentiment analysis. What is the big deal when it comes to social media sentiment analysis? All of these numbers give you insights into how your audience is responding to your marketing tactics. Is your audience engaged with the content you have to offer? Does your marketing campaign raised your brand awareness? How do your customers feel about your company? Social media sentiment analysis looks like just another metric, and, as a matter of fact, not a particularly important one. But it’s essential to run a successful social media campaign and boost your brand awareness! Sentiment analysis is the cherry on the top of your social media analysis. Sentiment analysis adds valuable data to your marketing strategy and helps you target your messaging better. Why do you need social media sentiment analysis? How can social media sentiment analysis benefit your business? Social media sentiment analysis involves applying natural language processing (NLP) to social mentions from various sources and determining whether the user is talking about your product in a positive, negative or neutral way. In Brand24, we add social media sentiment analysis to all the mentions from social media and other sources, for example, Quora or YouTube. Social media sentiment analysis gives vital context to all the social media metrics you already analyse regularly. Think about estimated social media reach. It provides you with information about the number of social media users that might have stumbled upon your content on the Internet. In theory, the higher the estimated social media reach, the better. But that’s not always true. Imagine a situation when someone mentions your brand in a negative way. Negative comments tend to travel fast on the Internet and generate a tremendous amount of buzz on social media. And that’s not the coverage you want around your brand! Social media sentiment analysis should be an indispensable part of your social media monitoring activities. Let’s start with the right tool to perform your social media sentiment analysis. I highly recommend Brand24, not only because I work here, but also because it’s one of the most affordable and best performing social media listening tool (according to Buffer). In Brand24 it all starts with creating a project. 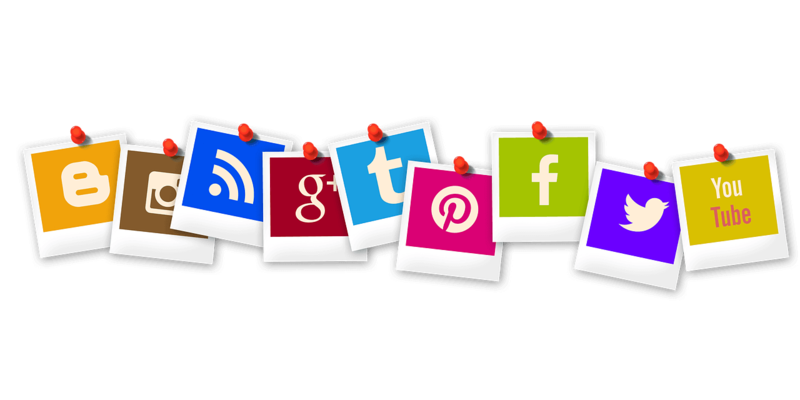 You can set up a second project for your competitors to monitor their online presence and be aware of their social media activities. Brand24 offers a completely free 14 day trial period (no credit card required). Firstly, you’ll encounter social media sentiment analysis in the Mentions tab. That’s the place where you can find all the mentions the tool gathered from the Internet. On the right side of the screen, in the Filters section, you’ll find a sentiment slider. You can choose to see only positive mentions, only negative ones or positive, negative and neutral. You can freely adjust the time range, so you can analyse the social media sentiment from exact period. 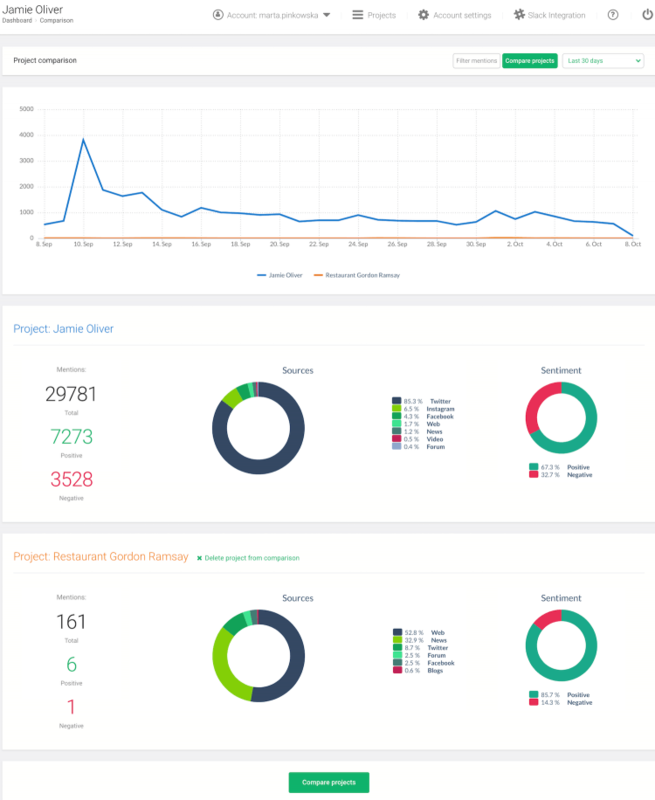 Summary tab will show what has changed in your project on a day-to-day basis. 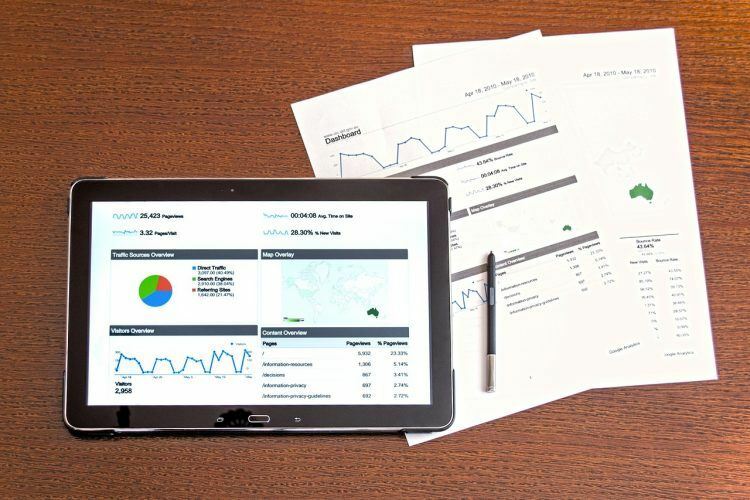 It will also present the change in the social media sentiment analysis, so whether your people are talking about your company positively or negatively compared to the previous period. The third place in Brand24 where you can find social media sentiment analysis is the Analysis tab. The analysis tab offers more in-depth analytics. 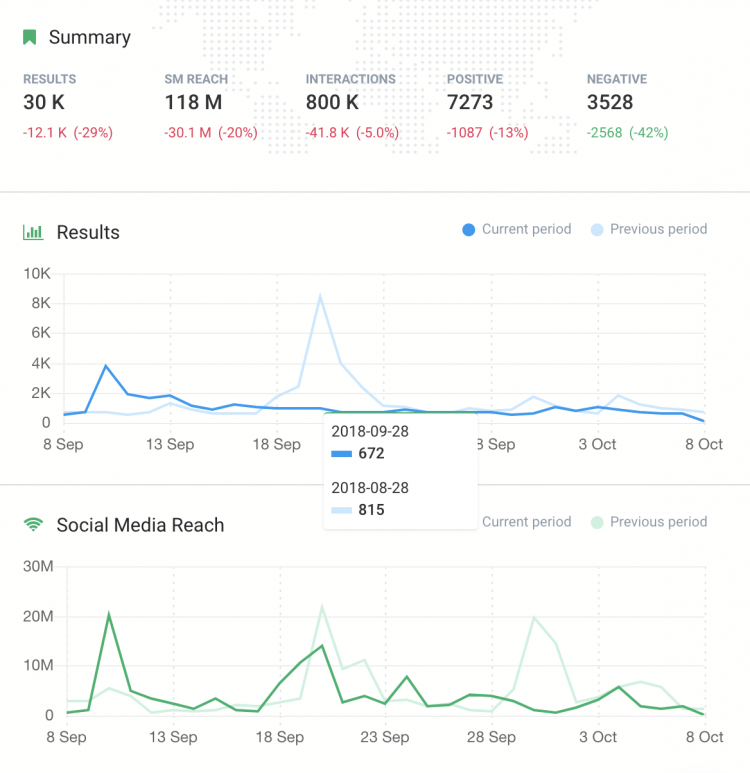 If you’re interested in the the estimated social media reach or you’d like to analyse the performance of one social media channel, you can find all the necessary metrics in the Analysis tab. All of your hard work when it comes to social media sentiment analysis will be in vain if you miss a negative mention or don’t respond to it in time. We know how hectic life can be, that’s why we developed a bulletproof notifications system. Once you log in to your Brand24 account, go to the Project Settings tab. 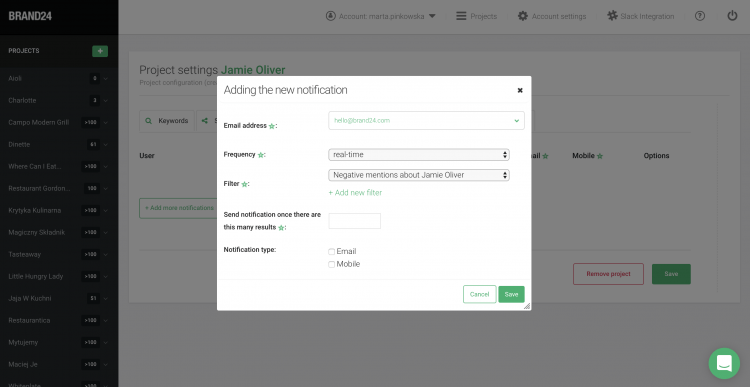 Choose Notifications, and click on More Notifications. A pop-up will appear where you can specify the email address that will receive a mail and the frequency of notifications. Then click on Add a new Filter. You have to name the filter and move the sentiment analysis slider to negative. Save the filters and voilà! You get a notification every time there’s a negative mention with your keyword. We established that social media sentiment analysis should be an essential part of marketing analysis. It will add a qualitative context to your quantitative data. The question remains what are the practical applications of social media sentiment analysis? I can name at least a few! When it comes to customer service and social media sentiment analysis there are two factors you should take into account. First, a negative review is not an end of the world. On the contrary, the Harvard Business Review found out that a negative review can be good for your business. But if a negative review should work for your business, you have to resolve the issue at hand promptly. Try to respond within an hour of receiving a review, so you can show how much you care about your customers. You might end up turning your annoyed customer into a loyal one. Do you know the saying “bad news travel fast”? Well, bad news online travel even faster! One negative comment can start an avalanche of complaints. In the era of Internet trolls, some users might be complaining even if they never had a chance to use your product. But if you catch the original complaint early on and solve the problem, you might avert a social media crisis. 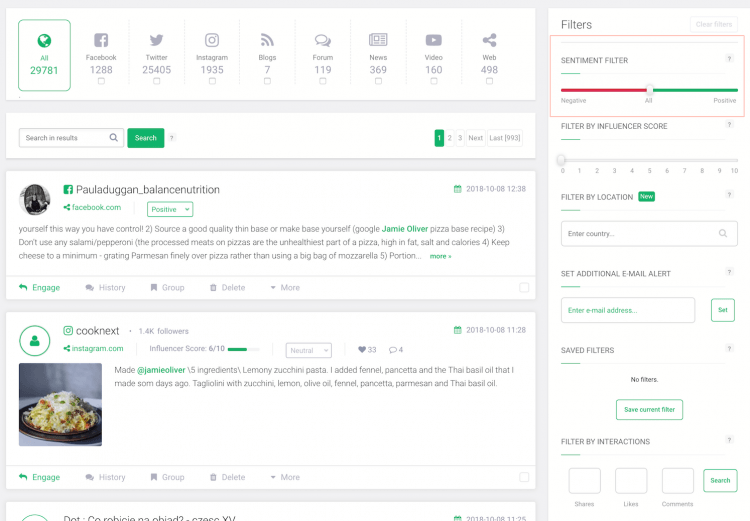 And even if the crisis hits, you can quickly filter the mentions according to sentiment and social media channel, which makes it easy to deal with. 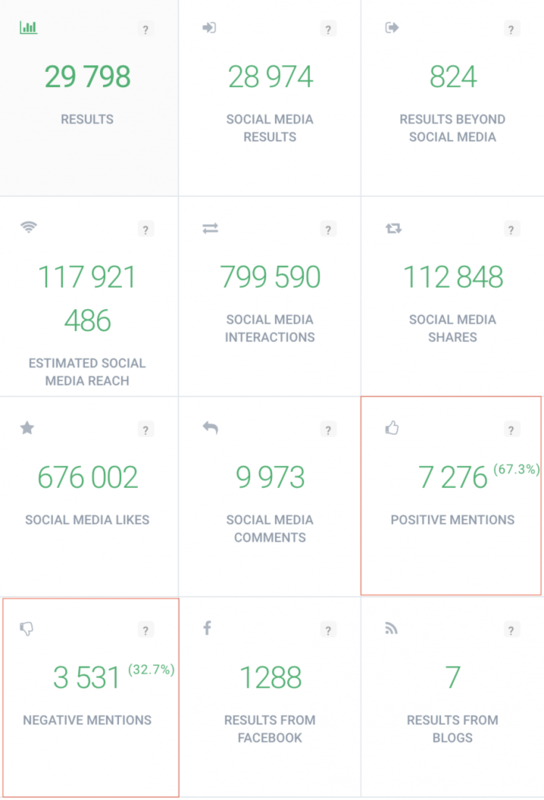 Social media analytics is the most important part of every social media campaign. And social media sentiment analysis might be just the addition you need to improve your social media marketing efforts. Social media sentiment analysis will tell you what your target audience think about your campaign. Generating buzz and counting social media impressions is not the most crucial part of the marketing campaign. Reaching the right audience with a positive message is. Your campaign might generate so much negative buzz it won’t serve its purpose. With social media sentiment analysis in place, you can spot the negative remarks right away and tweak the campaign, so it serves your needs. To stay ahead of your competitors you have to know what they are doing exactly. 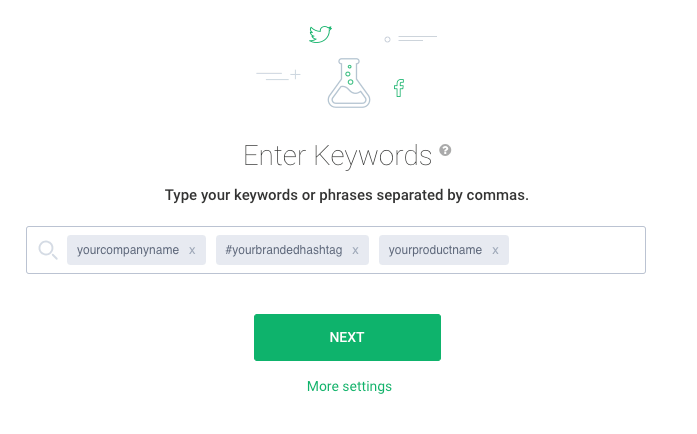 In Brand24 you can easily set up a separate project with keywords related to your competitors’ businesses. First of all, the tool will give you a sneak peek of their social media campaigns results, and secondly, this type of competitive intelligence is completely legal and ethical. Once you understand the sentiment around your competitors, you can use the knowledge to adjust your product or highlight its advantages. Moreover, you can spot negative mentions before your competitors and propose your solution. Brand24 gives you an opportunity to compare your social media results with your competitors. the number of social media results for each project. With social media sentiment analysis, you’ll be able to spot the problem right at the source. You can eradicate it before it escalates and you’ll be able to solve precisely the issues your customers want you to address. Secondly, social media negative sentiment can give you valuable insights into your product features. Take a more in-depth look into all the negative mentions and find out what your customers are complaining about the most. Negative social media sentiment analysis will indicate the most important feature you need to improve. Maybe your product is excellent, but you could improve packaging? Or the delivery company you cooperate with is not reliable? These are factors you could quickly improve to make your customer experience so much better. How to use social media sentiment analysis? Social media sentiment analysis can give you insights no other social media metrics can. Eavesdropping on your clients and competitors helps you improve your product, retain customers and reach new audiences. All that with implementing only one additional metric to your social media analysis? Ready to give it a try? What do you think about social media sentiment analysis? I’d love to hear your thoughts! Let’s connect on Twitter, Instagram or Facebook!